Now let us turn to the other law review article cited by the December 12 letter, Catherine Fisk & Erwin Chemerinsky’s “The Filibuster,” 49 Stan. L. Rev. 181 (1997). Since only Professor Chemerinsky signed the December 12 letter, I will refer just to him, no slight to Professor Fisk intended. Although the 1997 article contends that the Senate rules are unconstitutionally entrenched, it makes no claim this view has been accepted by the Senate itself. To the contrary, Chemerinsky states that “[t]he repeated failure of efforts to adopt majority cloture or to permit a majority to change Rule XXII suggests that it is unlikely the Senate will decide on its own that the filibuster is unconstitutional.” 49 Stan. L. Rev. at 225. He argues, however, that a judicial action could effectively vindicate the Senate majority’s constitutional rights. Id. at 225-38. (IMHO, the view that a court would hear the merits of such a case was far-fetched even at the time the article was written, though it became more so after the Supreme Court’s decision in Raines v. Byrd, 521 U.S. 811 (1997)). Senate Rule XXII is unconstitutional in requiring a two-thirds vote in order to change the Senate’s rules. Declaring this rule unconstitutional would mean that a majority of the Senate could abolish or reform the filibuster. Ideally, the Senate would recognize this violation and revise its own rules to eliminate the requirement for a supermajority. It is unlikely, however, that the Senate would make such a change; if nothing else, the change is likely to be filibustered by the minority party in the Senate. 49 Stan. L. Rev. at 253. The last sentence is a bit puzzling—the only way the “minority party” can filibuster a rules change is if there is a valid rule allowing it to so. The problem, from Chemerinsky’s perspective, is not that the minority party will exercise its rights under Rule XXII; rather, it is that the Senate does not “recognize [the] violation” that allegedly makes the rule invalid. What, though, of the “numerous precedents” claimed by the December 12 letter that confirm “a new Senate’s authority to change its rules by majority vote”? Clearly Chemerinsky did not believe in 1997 that these precedents stood for the proposition claimed by the December 12 letter, and a quick review will show why. Bruhl argues, however, that the early history of the Senate reflects a tradition of what he terms “mere continuity,” by which he means that although the Senate and its rules were understood to be continuing, there was no clear understanding or consensus as to what this meant in terms of insulating the rules against change. This contrasts with “entrenched continuity,” where the rules are continuing in nature and are also understood to restrict efforts to change the rules themselves. The current debate over whether to alter the 113th Senate’s rules raises serious questions of policy and political judgment. We take no position on the wisdom of any proposed change. Some, however, have sought to elevate the debate to constitutional dimensions by suggesting that it is institutionally improper for a new Senate to alter the Senate’s rules by majority vote because the internal procedures adopted by prior Senates have required a two-third majority to allow a vote on a motion to alter the rules. With respect, such a concern confuses the power to change the Senate’s rules during a session, with the unquestioned constitutional power of each incoming Senate to fix its own rules unencumbered by the decisions of past Senates. The standing two-thirds requirement for altering the Senate’s rules is a sensible effort at preventing changes to the rules in the midst of a game. It cannot, however, prevent the Senate, at the beginning of a new game, from adopting rules deemed necessary to permit the just, efficient and orderly operation of the 113th Senate. Thus, bound up in the current debate over filibuster reform is a related, but distinctly separate, question: What are the limits of each new Senate’s authority to determine its own rules of procedure? The undersigned—scholars in the fields of constitutional law and Senate procedure and history—submit this letter to clarify the constitutional framework that governs the Senate’s rulemaking authority. We agree with the overwhelming consensus of the academic community that no pre-existing internal procedural rule can limit the constitutional authority of each new Senate to determine by majority vote its own rules of procedure. At the outset, it should be noted that the letter is addressing two issues: (1) whether or not the Senate is a “continuing body” (if it is, there is no such thing as a “new Senate”); and (2) whether the Senate rules can be “entrenched” in a manner than inhibits change by the vote of a simple majority. The answer to the second question may or may not turn on the answer to the first. According to the authors of this letter, it does. They maintain that the Senate is not a continuing body (although at one point they call it a “partially-continuing body”) and that therefore each “new Senate” must be free to change the rules (or adopt entirely new rules) without any entrenching effect of a “pre-existing internal procedural rule.” They contend this authority may be exercised by the “new Senate” on its first day, but thereafter the rules may be entrenched for the remainder of the Congress. The letter cites a grand total of two academic works: (1) Aaron Bruhl’s “Burying the ‘Continuing Body’ Theory of the Senate,” 95 Iowa L. Rev. 1401 (2010) and (2) Catherine Fisk & Erwin Chemerinsky, “The Filibuster,” 49 Stan. L. Rev. 181 (1997). Chemerinsky is a signatory to the letter; Bruhl and Fisk are not. This might seem somewhat thin gruel to support an “overwhelming consensus of the academic community,” but at least the cited works support the letter’s position, right? Let’s begin with efforts to get the House to pass a Senate bill, S. 3412, the “Middle Class Tax Cut Act,” to extend current tax rates on all income brackets except the top two. The bill in question originated in the Senate (as reflected by the Senate bill number) and so would seem to violate the Origination Clause if it is a bill “for raising Revenue. One might ask whether S. 3412 is a bill “for raising Revenue” given that it does not increase taxes, but merely keeps certain tax rates (which would otherwise automatically increase in 2013) at current levels. However, it appears fairly well-established, at least as a matter of congressional precedent, that the Clause covers all bills relating to raising revenues, not merely those that increase current revenues. The House has long taken the position that it has “sole and exclusive privilege to originate all bills directly affecting the revenue, whether such bills be for the imposition, reduction or repeal of taxes.” 2 Hinds Precedents § 1489 (resolution of 1872). There is some judicial authority in support of this proposition as well. See Armstrong v. United States, 759 F.2d 1378, 1381 (9th Cir. 1985) (“The term ‘Bills for raising Revenue’ does not refer only to laws increasing taxes, but instead refers in general to all laws relating to taxes.”) (emphasis in original). The prerogative must be raised and resolved as a question of privilege in the House by disposition of a resolution generally asserting the prerogative without specifying the offending provision and purporting to return the entire Senate bill or amendment to the Senate as an infringement. Debate on the resolution then details the offending matter. ‘Blue-slipping’ is the term applied to the process by which the House returns an offending measure to the Senate, as the resolution if adopted is printed on blue paper. Any Member may offer such a resolution, but it normally is presented by the Chairman of the Committee on Ways and Means as the institutional guardian of the House’s revenue-raising prerogative. Traditionally the House on a bipartisan basis supports the position taken by the Chairman of Ways and Means despite the political acceptability of the measure containing the offending provision. While S. 3412 appears to violate the Origination Clause, the Senate is not constitutionally barred from taking the initiative now on a revenue bill. This is because the Senate is permitted to propose amendments to revenue bills that have originated in the House. While there are some gray areas with respect to the scope of that authority, there would not seem to be any question of the Senate’s right to take a House bill such as H.R. 8, the “Job Protection and Recession Prevention Act of 2012,” which passed the House on August 1, 2012, and propose the language of S. 3412 as an amendment. (H.R. 8 would extend all of the current tax rates). Of course, the Senate’s authority in this regard only lasts until January 3, 2013, when the current Congress ends. 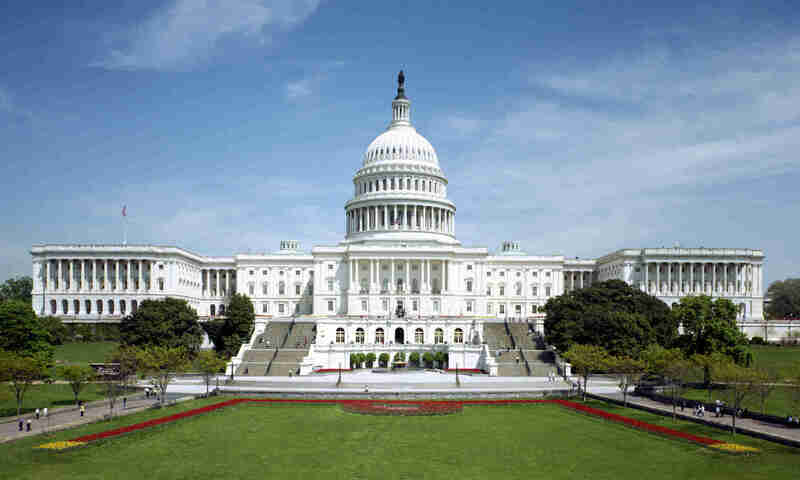 At that point all legislation introduced in the 112th Congress will expire, and the Senate will have to wait on a new House bill before it can (constitutionally) move revenue legislation. For more background on the Origination Clause, see this CRS report. The Senate’s action yesterday was to pass H.R. 8 (“American Taxpayer Relief Act of 2012”), as amended. So there is no Origination Clause violation, as far as I can see. And the House has about 45 hours to act. Does James Monroe’s Presence at the Virginia Ratifying Convention Shed Light on the Meaning of the Recess Appointments Clause? More from the Noel Canning argument: No doubt much to her surprise, Beth Brinkmann was questioned intensively about the meaning of the phrase “which may happen” in the Recess Appointments Clause. Both Judge Sentelle and (to a lesser extent) Judge Griffith were unimpressed by the longstanding executive branch position, dating back to Attorney General Wirt in 1823, that this phrase means vacancies that “happen to exist” during the recess. In response, Brinkmann pointed out that Wirt was advising President Monroe, whom she identified either as a “framer” or a “founder” (I can’t remember which) of the Constitution. This fact, she suggested, bolstered the credibility of Wirt’s interpretation. Monroe was not at the 1787 Philadelphia Convention, but he was a delegate to the Virginia convention that ratified the Constitution. Monroe voted against ratification, contending that it gave the federal government too much power. I am fairly sure that there is no evidence of Monroe expressing any view about the RAC at the ratifying convention and, for that matter, I am not aware of Monroe commenting on the RAC at any time in his life. So what are we to make of the fact that, more than 30 years after the drafting and ratification of the Constitution, Monroe received an opinion from his Attorney General that the RAC applied to all vacancies that “happen to exist,” rather than only those that “happen to arise,” during the Senate’s recess? By Wirt’s own admission, his interpretation relied on the “reason and spirit” of the Constitution, while the contrary interpretation was more consistent with its “letter.” Moreover, although not mentioned (and possibly not known) by Wirt, there were at least two actual framers, Edmund Randolph and Alexander Hamilton, who made far more contemporaneous statements in support of the “happen to arise” interpretation. I’d say the probative value of this “evidence” is between slim and none. And Slim’s out of town. (Almost) Live From the Noel Canning Argument! There were many important issues raised in today’s D.C. Circuit argument in Noel Canning v. NLRB, the recess appointments case, but lets start with some unimportant ones. How do you pronounce Harry Daugherty’s name? The Justice Department lawyer representing NLRB, Beth Brinkmann, pronounced it “Dockerty,” and the panel went along with that. I have always pronounced it “Doh-her-tee” or “Daw-her-tee” (according to Wikipedia, its “daw-HER-tee”). I think if DOJ is going to rely so much on Daugherty’s opinion, it should at least know how to pronounce his name. Exit question- how do they pronounce it on “Boardwalk Empire”? How come this can’t be the Goya Rice case? According to Noel Francisco, who appeared on behalf of Noel Canning and the Chamber of Commerce, the Chamber has standing to intervene in the case because it has at least two members, Noel Canning and Goya Rice, currently participating in proceedings before the NLRB. It would be a lot easier to explain the importance of the Recess Appointments Clause to my children if Goya Rice were the named party—they have never heard of Noel Canning, but we go through a box of Goya Rice every week. Why isn’t Senate Legal Counsel here? Judge Griffith, himself a former Senate Legal Counsel, asked this question during the argument. Griffith was making the rhetorical point that the Senate had not taken a position in the case, but the literal answer to his question was that Senate Legal Counsel was in an overflow courtroom downstairs. By the time he and the Deputy Senate Legal Counsel arrived, there was no more room in the main courtroom (though Senator McConnell, who arrived afterward, apparently had a reserved seat). I sat in the overflow courtroom as well, where a watchful clerk made sure no one was live blogging the proceedings. What’s so great about unanimous consent anyway? Francisco argued that since nominees are usually confirmed by unanimous consent, the fact that the Senate could only act by unanimous consent during its pro forma sessions did not prevent the President from getting nominees confirmed. Judges Griffith and Sentelle were at immediate pains to point out that not all nominees are approved by unanimous consent. Sentelle, who was confirmed by an 87-0 vote, reiterated the point, possibly throwing a meaningful look at Griffith (there was only audio in the overflow courtroom). “I said usually,” stressed Francisco. “Lets move on,” said Griffith, who was confirmed 73-24, good-naturedly. Judge Henderson, who was confirmed by unanimous consent, tactfully remained silent.